It's only available to residents of Austin, Cincinnati, Dallas, and Virginia Beach to begin with, but more cities will be added over the course of 2018. If you live on the outskirts of any of those places, check the site to see if you're eligible. Products from pretty much every aisle will be available through Prime Now, and Whole Foods CEO John Mackey says he's worked with Amazon to bring prices down across the board in preparation. To qualify for a two-hour delivery slot you have to order at least $35 worth of groceries. If you're super hungry (and have money to burn) you can fork out $7.99 for extra-fast one-hour delivery. Orders will be taken between 8:00 to 22:00, either online or through the Prime Now app. Happy shopping! 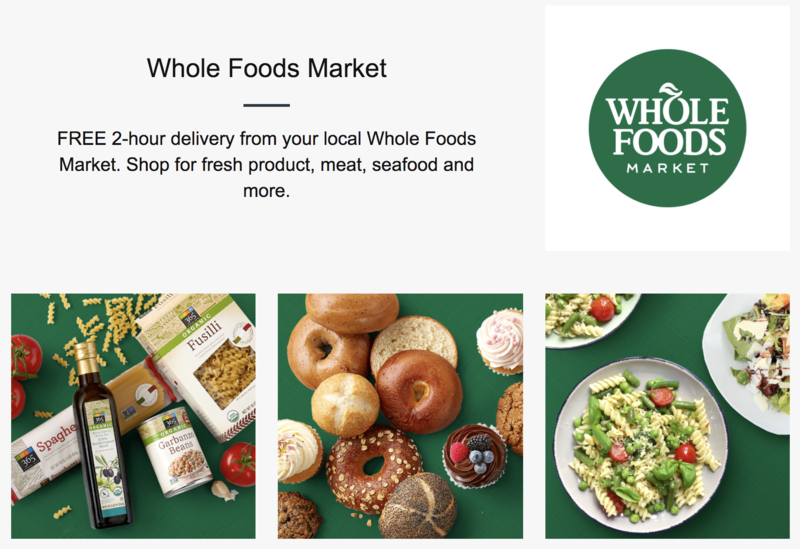 AUSTIN, Texas & SEATTLE--(BUSINESS WIRE)--(NASDAQ: AMZN)—Amazon and Whole Foods Market today announced the introduction of free two-hour delivery of natural and organic products from Whole Foods Market through Prime Now, with plans to expand across the U.S. in 2018. Starting today, Prime customers in neighborhoods of Austin, Cincinnati, Dallas and Virginia Beach can shop through Prime Now for bestselling items including fresh produce, high quality meat and seafood, everyday staples and other locally sourced items from Whole Foods Market. Customers can start shopping from Whole Foods Market selection at www.primenow.com or by using the Prime Now app available on Android and iOS devices.